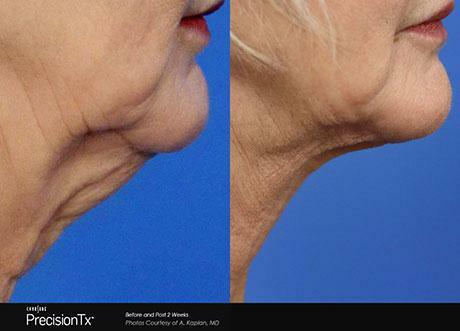 Take the next step to a fresher more youthful appearance without the look of being done. 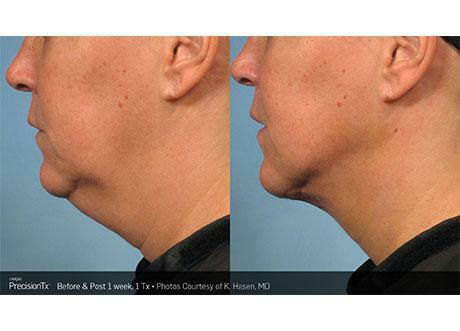 PrecisionTx delivers laser energy under the skin to treat fat and tighten tissue. This one-time treatment offers minimal downtime and increases collagen production which improves skin elasticity, thickness, and texture. 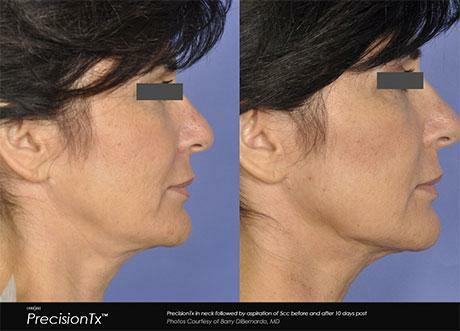 PrecisionTx is a minimally invasive procedure to treat small areas of fat in areas such as the lower face and neck or arms. 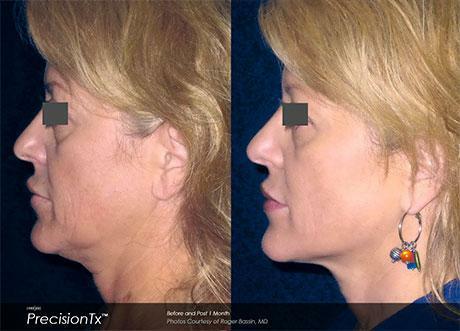 Through a small incision a very thin tube containing the PrecisionTx laser fiber is inserted and delivers thermal energy directly to the treatment area.